“Soft” techniques (techniques that require a minimal use of force), joint techniques, special strikes to vital points of the body (Atemi), “hard” techniques, and so forth. The arts of Takeda Sokaku have had a long held reputation for being too “rough” and many people, especially women, disliked its practice. 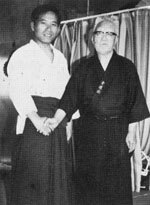 In particular, Morihei Ueshiba’s Aikido, as a “soft ” style, has gained a great many practitioners across the world. Muden Juku practices this type of Bujutsu. 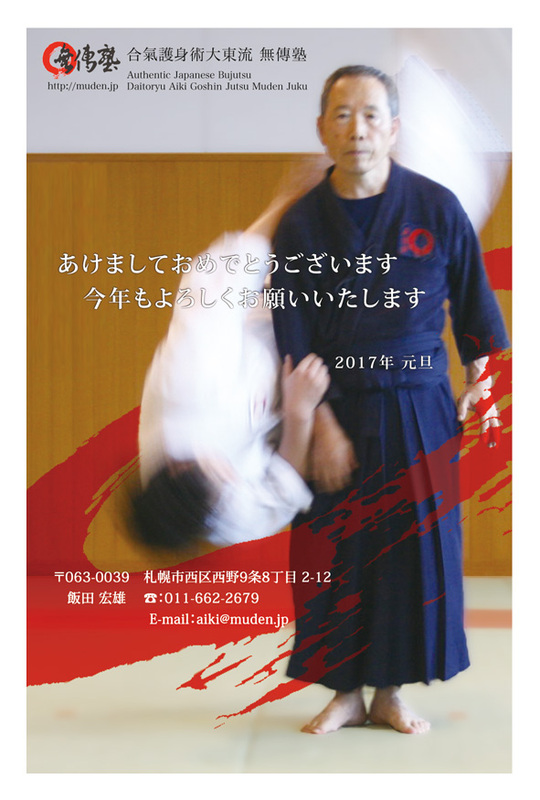 Training in Aikijujutsu develops a high level of self-defense ability and leads to a more refined spirit and upright character. 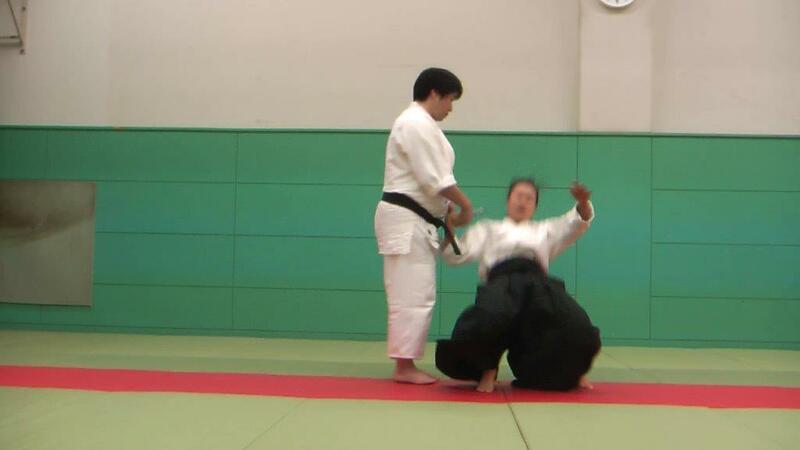 Because Aiki techniques do not require great physical effort to execute, men and women can enjoy its practice. 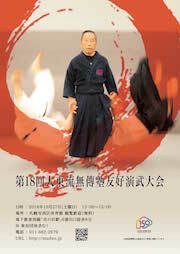 It is a suitable physical practice for the very young and old. This is possible because even the most subtle twist of a child’s hand or sudden application of a technique can overcome an attacker if one knows how and when to apply it. 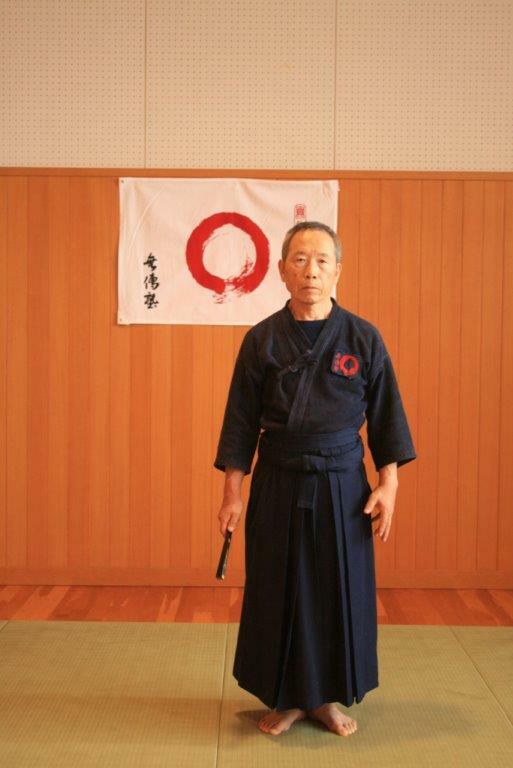 Because of this, Daito Ryu can be considered one of the most suitable arts for all ages and types of people. By the time they each the level of third Dan, most practitioners are able to attain a softness and smoothness like that of silk when performing techniques. 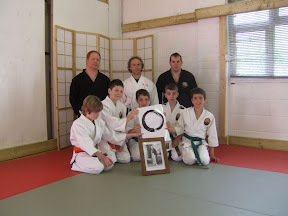 The principle in Judo that “softness overcomes hardness” reflects this level of attainment. 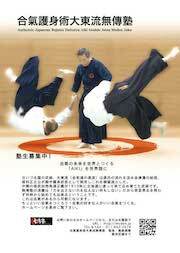 This quality of “soft” Aiki is also good for a healthy, relaxed body. People who train to this level can spread this “soft Aiki” far and wide.